Chris Sibley is a Professor in the School of Psychology at the University of Auckland. 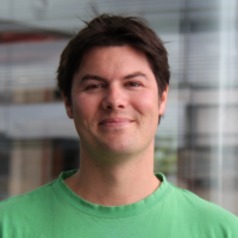 Chris grew up in Lower Hutt, and completed his PhD at Victoria University of Wellington in 2005. Chris has published more than 200 peer-reviewed articles and book chapters, is the editor of the Cambridge Handbook of the Psychology of Prejudice, and the lead investigator for the New Zealand Attitudes and Values Study. He teaches in research methods and social psychology. Outside of work, Chris admits to being an avid reader of science fiction novels and a keen hiker. Chris founded the New Zealand Attitudes and Values Study (NZAVS) in 2009. The NZAVS is a nationally representative 20-year longitudinal study that assesses change and stability in the personality, social attitudes, values and health outcomes of roughly 20,000 New Zealanders each year. Running the study keeps him fairly busy. You can read more about Chris' research on the New Zealand Attitudes and Values Study homepage.